On the website of Windows IT Pro I found a very interesting posting written by a man who I highly respect for his knowlegde AND sources of information he has access to, named Rod Trent. This posting is titled ‘Microsoft’s Azure Stack Delayed to Allow Partners Time to Certify Hardware’ and tells exactly why the release of MAS is delayed. Want to know more? Go here, and read the whole article. All credits go to Windows IT Pro, who also owns the mentioned article. All I am trying to do is to point the readers of this blog to this article which contains good information, that’s all. System.IndexOutOfRangeException -- Index was outside the bounds of the array. It took me some time to pinpoint the cause, but it turned out to be KB3159706, which enables ESD decryption provision in WSUS. In this case, the decision was made to uninstall this particular update. The server was rebooted and WSUS was fully functional again. Within an hour the SUP for SCCM was fully functional again and runs now without a glitch. Always be careful with the automated deployment of updates. Of course, Critical Updates and Security Updates are crucial, but require testing. When also pushing regular updates to your environment, they require testing as well. Never assume things won’t be hurt. In this case the update itself was okay, but required manual actions afterwards in order to make it land properly. Because no one knew about this update being pushed, no one looked until it was too late. So: Always test yourself before you wreck yourself. For a complex environment I had to create Certificate Signing Request files (CSR’s) using this method, section Request OpsMgr Certificate. So far so good. The certificates created on those CRS’s worked as expected, except for the SCOM Gateway Server. One of the fixes is to create a NEW certificate, based on a new CSR. But before doing that one might try to repair the store first, based on this posting. And YES we’re in business. After this the SCOM Gateway Server connected properly to the SCOM MS servers and all was okay again. Whenever SCOM can’t load the certificate because the private key is missing, try to fix it first before creating a new certificate. It saves you a lot of time. SSL Support Desk for their posting which helped me to solve this issue. Awesome! As expected, System Center 2016 will be launched in Q3 2016. Now the date is really set: System Center 2016 will be launched at Ignite 2016, which takes place in September. Utilize the Preferred Partner program to discover third-party management packs, authoring tools, dashboard utilities, etc., right from the Operations Manager console. IMHO these fixes and new features aren’t that big compared to SCOM 2012 R2 UR#9, underlining Microsoft’s ‘Cloud-First, Mobile-First’ strategy. Added support for more than 32 processors count in CPU Usage monitoring. As ever, TEST these MPs BEFORE putting them into PRODUCTION. In the past there have been nasty issues with updated MPs, causing unexpected behavior, like DW bloat for instance. So TEST yourself before you WRECK yourself. Since I do get a lot of questions from customers running ConfigMgr 1602 in relation to the new feature of in-console installation of updates or hotfixes, I’ve decided to write this posting hoping to answer most of those questions. However, when you don’t find your particular question in this posting, don’t hesitate to reach out through a comment, and I’ll update the posting accordingly. Also good to know, even though this posting is based on the last available hotfix for ConfigMgr 1602 (KB3155482), this FAQ can be used for ALL in-console updates/hotfixes. Q: Are there any resources out there, describing how to use this new feature, first introduced in ConfigMgr 1511? A: Yes, there are. Many are community based and easy to be found on the internet, using a search engine like Google/Bing. Of course has Microsoft a TechNet article as well about the same topic, titled Updates for System Center Configuration Manager. This TN article is updated every time when a new branch for ConfigMgr is publicly released. Q: Is this new feature like ‘Set & Forget’. Like: I click it to install and I don’t have to do anything anymore? A: Even though this new feature is really cool and awesome, it still REQUIRES your ATTENTION. Seriously. Never ever trust ANYTHING to run smoothly, but CHECK and DOUBLE CHECK is the message here. Also, keep your environment in mind. For instance, Secondary Sites aren’t automatically updated. You must initiate this by yourself. And when the installation is finished, and as such neatly reported in the Console, check the file versions yourself to be 100% sure. Just like you would roll out any other update/hotfix when done manually. Q: Can I blindly updates my Clients as well? A: This question is the same like asking me whether or not to eat peanuts. When not having an allergy, be my guest but when you do, don’t eat the peanuts! In other words, it depends on your situation. And your situation is based on too many factors I simply don’t know. So again, be careful here. It’s simply better to postpone the update of the Clients until you’re pretty sure it won’t hurt them. To that order create a test Device Collection of Clients representing a cross selection of all SCCM Clients and have them updated. When they’re okay, simply move ahead to the next batch and so on. Q: Why should I use this new feature at all? I don’t think it’s cool anyhow. Always updated my ConfigMgr environment by hand, so why should I change that now? A: Progress is default in our line of work. Of course, it doesn’t mean you must follow everything suit, but it pays off to know what’s available and possible. Just denying a new way of working based solely on the reason ‘I always did it manually or by method A or B’ won’t get you far. When you simply want to TEST this new functionality however, before letting it loose in the ‘wild’, I hear you. Simply build a new test environment and test drive it. Document it. Discuss it with your team. And then decide. Q: Should I run the Prerequisite Check or not? A: Yes please! Even when you try to skip it by hitting the Install Update Pack button in the Console, it will run that check. But none the less, it’s better to run the check separately before you hit that button. This way you’ll know whether there are issues or not. It will help you to prevent situations where you’ve planned time for the installation, only to bump into a ‘negative’ from the Prerequisite Checker. Better to catch them beforehand, fix them and then move ahead. Q: Do I still need to follow the RFC procedures? A: Seriously? Are you asking me to skip them? Why? Because the Console can update the ConfigMgr infrastructure? Most of the times when a hotfix is applied, the SQL database is hit as well as is the Console. What are you going to tell your manager? It was the Console, not me? So YES please, follow the normal RFC procedures. Even better, run the Prerequisite Checker before filing the RFCs so you know whether additional work is required. Helps you to safe face. Q: Okay. I’ve run the Prerequisite Checker. Nothing came out. All okay. So I hit the Install Update Pack button. And now I see the Prerequisite Checker came out fine (again). But it looks like NOTHING happens afterwards. Is this new ‘cool’ feature broken or what? A: Good question! No, all is just fine. It’s just that between the time the prerequisite check is finished and when the installation starts, there are about ten minutes. So simply wait and soon (or later, depending on your patience) the REAL installation will start. Q: Where can I find the progress of the installation? A: In the Console. Go to: \Administration\Overview\Cloud Services\Updates and Servicing. Select the update which is installing by highlighting it. Underneath in the right side of the same Console you’ll find the header Related Object with the link Show Status underneath it. Hit that link and you’ll find yourself in another section of the Console, \Monitoring\Overview\Site Servicing Status. Select the update you started, and select the button Show Status in the Console. The screen Update Pack Installation Status will be opened, showing you the installation progress of the update you selected. Per step the status will be shown. Q: When the update/hotfix hits the Console as well, can I still use the in-console update feature? Q: What’s next waiting for us ConfigMgr administrators? A fully automated packaging line? Features like this will cost me my job eventually! A: Relax! I compare it to washing your car. 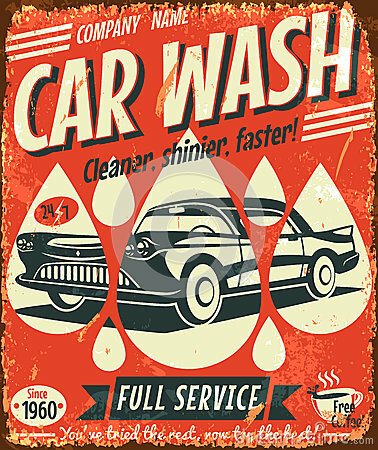 Before the car wash industry came to be, it was normal to wash your car by hand. Nowadays almost everybody goes to the carwash. It saves you a lot of time to do tedious repetitive labor and enables you to spend your valuable time in a much better way. The same goes for the new features introduced in the new line of ConfigMgr branches. They help you to save time, to ascertain repetitive labor is always performed in the same manner. Now you find time to do other things. Like automating other daily jobs by using PowerShell and so on. Like an old colleague once said to me: ‘An administrator who DOESN’T automate his daily chorus, isn’t an admin at all, but just a wannabee’. Hopefully this posting has answered most of the questions out there about the in-console update feature. And again, when missing your question, don’t hesitate and reach out through a comment. As we all know there are two flavors of licenses for the System Center stack: System Center Standard and System Center Datacenter. For more information about this license model, I advise you to read my blog series about this topic. However, a new ‘flavor’ is recently added to the mix, branded Operations Management Suite Subscription and (as the name implies) has OMS at it’s core. However, the whole System Center stack is added to it, making it a perfect fit for hybrid cloud environments. Also, it’s subscription based with the pricing structured per VM per month with an annual commitment. Already before System Center connected in a technical way to the cloud. And now its licenses are moving to the cloud as well, where almost everything is subscription driven on a ‘pay-as-you-go’ basis. As Microsoft states: ‘…With OMS, you can manage workloads on Windows Server and Linux across any on-premises and public cloud, including Azure and Amazon Web Services…’. Combined with the strength of the System Center stack and you’ve got all the tooling required to run, manage, automate and monitor your IT services, whether on-premise or in the cloud. Hey wait! I am already using System Center! When you’re currently using System Center with SA (Software Assurance), OMS is available as an add-on to your existing licenses. This add-on is also purchased as an annual commitment. This brings us to the next question of this posting: How do the subscription and add-ons compare? Suppose you only need a certain set of services, eg. Backup and Log Analytics. Gladly you can purchase these services separately as well, allowing you to mix them as required. In this case the services are priced either per VM, per GB (of ingested data), or per minute. Mind you, this is only valid for the services offered by OMS. When you want to use a certain set of the System Center stack, you’ve can only purchase the System Center licenses mentioned at the beginning of this posting, or the newly introduced OMS Subscription. How many $$$ or €€€? Even though the same datasheet gives you an estimate about the retail prices, changes are they will be different for you, depending on your country, supplier and so on. The Operations Management Suite Pricing and Licensing Datasheet. Thanks to James van den Berg this awesome symbol and icon set for Visio and PowerPoint was brought to my attention. Whenever you’re making a slide deck or Visio drawing all about Microsoft Azure, this is the set to use.